It is easily forgotten that the GWR was already on its way to replacing steam with more modern forms of traction when it was overtaken by nationalisation in 1948. 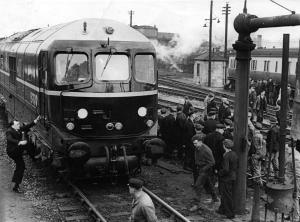 It had ordered the pioneering gas turbine powered locomotive that became BR No 18000 as early as 1940 even though it was not delivered until 1949. The independence of spirit that characterised the old GWR persisted well into BR days and the WR chose an independent path again when it followed the German model of developing diesel hydraulics rather than diesel electric locomotives after 1955. The now turbine-less 18000 has now found its rightful home at Didcot Railway Centre where it will be restoted to its historical form as much as possible. You can read about 18000 here and the GWR post war period has been well documented in ‘Next Station’ by Christian Barman. This has been out of print for a long while but much of it is included in The GWR Handbook 1923 – 1949 by David Wragg. There were broadly 5 classes built and used before the last remnants of the GWR bowed to the inevitable of corporate BR integration. For general information about these classes, look at the Great Western Archive, while David Hey’s excellent photograph collection is here. 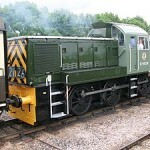 For Youtube video images of WR diesels, start here and follow the links. In retrospect, one of preservation’s most significant failures was in failing to save one of the early D600 Warship class. Two of them ended up in Barry scrapyard in 1969 but their historical value was overlooked in the fight to save steam locos. The D800 Warship class fared rather better and 2 have been saved: D821 Greyhound and D 832 Onslsught. Alan Drewett’s article on Warships, originally written for The Gloucestershire Journal weekly newspaper, is worth reading as is this one, which also contains some good images of both classes of Warship in action. The Wiki entry for the D800 class is here. 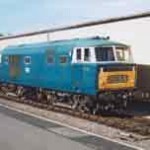 Models are currently available in N gauge from…, in OO from …. and in O gauge from …..
Brian Thomas is the biggest fan of Hymeks on the web and his website is a mine of information about them. Designed to replace the Hall class, they were probably the most successful of the DH classes and 4 survive today. 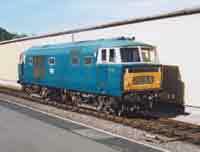 D7017 and D7o18 are both owned by the DEPG at Williton on the West Somerset Railway. The wiki entry is here. The Western Loco Association is the proud owner of two of the survivors of this striking looking class: D1013 Western Ranger and D1062 Western Courier. The well organised site has some great descriptions and diagrams of the technical aspects of diesel hydraulics. Recommended. 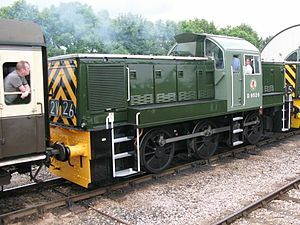 Three other Westerns are based at the East Lancashire Ralway: preserved privately No D1015 Western Champion, D1041 Western Prince, and D 1023 Western Fusilier which is in the National Collection. D1048 Western Lady is part of the Midland Diesel Group consortium at Butterley and D1010 Western Campaigner is at Williton on the WSR, owned by the DEPG. The wiki site has some interesting pictures that show the different liveries carried by the class at different times. Heljan make a nice OO gauge model and Tower Models are currently (Dec 2011) lobbying for them to make an O gauge version. Watch this space! When asked about the Class 14, apparently the Swindon Works foreman at the time quipped ‘we’ve built The Great Bear so now we are going to build a Teddy Bear’ (quoted in the Wikipedia article here). The name stuck. These 0-6-0 Diesel hydraulics were presumably intended to supercede Pannier tanks but were not only, apparently, rubbish and inferior in all respects to their beloved steam predecessors but they were quickly eclipsed by the ubiquitous 08s. D9518 and D 9526 are part of the DEPG collection at Williton on the West Somerset Railway and quite a number of others have been preserved while one has been exported to Belgium. We have selected some interesting further reading on the subject of the WR Diesel Hydraulic experiment which you can find on our home page here.